The dilapidated Lada you see here is due an engine transplant. But since it belongs to Garage54 - purveyors of the maddest automotive experiments you’ve ever seen - the old powerplant simply must be given a proper send-off. 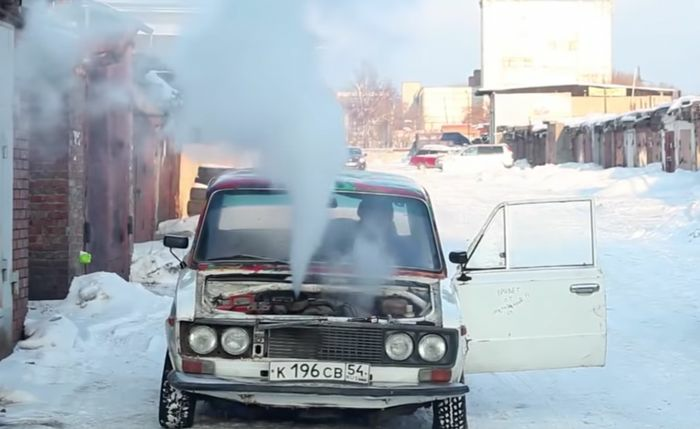 The Russian YouTube channel was given various suggestions of what to stick in the engine to kill it off, but rather than just go for one substance, they went for several. Initially, the oil was replaced with vegetable oil, which the car seemed to run on without any immediate issues. After that, a hilarious variety of materials were added to the base veg oil mix, including, eggs, cola and milk. The car was then run on petrol with a load of salt semi-dissolved in it, holding out for a commendable amount of time. The final nail in the coffin? Large quantities of water were dumped into the carburettor, something even a hardy old Lada engine can’t survive!